As we at Kryon get ready for an exciting year of growth in 2019, we’re happy to announce that we have partnered with the Institute for Robotic Process Automation and Artificial Intelligence (IRPA AI), the world’s first and largest institute for RPA. Today, businesses in virtually every industry can benefit from solutions powered by artificial intelligence. In the case of Kryon’s automation solutions, AI drives capabilities such as Kryon Process Discovery™, empowering companies to quickly and efficiently find their most promising processes to automate. Artificial intelligence also powers our patented computer vision, which enables companies to use our Attended, Unattended, and Hybrid RPA solutions with any computer program, regardless of platform. To learn more about today’s most promising AI-powered technologies for enterprises and how you can leverage them for increased business success, we invite you to join us at the Business AI & Robotics show in Berlin on November 22nd. We are proud to sponsor it, and we hope to see you there! Relying on a variety of repetitive, rule-based processes – and with complex and frequently changing legal requirements – banks and financial institutions are some of the organizations most obviously suited for automation. Not only can RPA empower them to offload tasks from full-time employees to extremely efficient robots, but it can help these institutions prevent potentially costly errors. How can you make the most of automation within your bank or financial institution, and how should you pick which tasks to automate? To learn about how today’s AI-power RPA and Process Discovery solutions can help you achieve these goals, we invite you to join us at the Intelligent Automation in Banking Summit. The event will take place on October 24th in London, and we hope to see you there! How do the worlds of robotics, artificial intelligence, and business influence each other, and what new possibilities do they offer? At Kryon, we work every day to answer these questions. And next week, we invite you to join us in answering these questions together at the European Business AI and Robotics event, taking place October 23-24 in Helsinki, Finland. How are RPA & AI creating new possibilities for insurance companies? Join us at DIA Munich to find out. If you work in the insurance industry, you already know that new technologies are constantly creating new ways to improve customer service, efficiency, and reliability within companies like yours. And you probably know those trends bring with them fresh opportunities (for those insurance companies that make the most of these innovations), as well as an increased risk of getting left behind (for those that don’t). But do you know where RPA and AI fit into this ever-changing technological landscape? 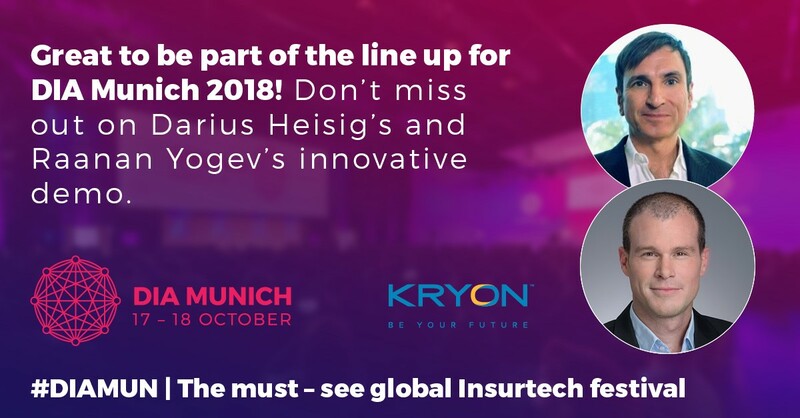 With that question in mind, we invite you to join us at next week’s DIA Munich 2018, October 17th-18th. By any measure, RPA’s ability to increase a company’s efficiency, prevent errors, and cut costs is huge and growing. But how successfully a company actually uses RPA depends largely on the choices it makes. Today, artificial intelligence is not only at the forefront of leading RPA solutions, but also at the heart of innovative tools that help companies streamline their processes for making RPA-related decisions. To learn more about the intersection of AI and RPA – and about the ways today’s companies can improve their use of RPA by improving their decision-making processes – we invite you to join us at AI Summit Singapore on September 19-20th. Intelligent automation is on 80% of C-level agendas and 66% of financial services expected to make significant investment in the next three years. Join us at the 2nd Annual Intelligent Automation Financial Services conference in London, July 9th-11th, to discuss strategy and benchmarks for creating a clear, successful road map for Robotic Process Automation (RPA) in financial services and insurance and hear how global industry leaders are revolutionizing their processes. 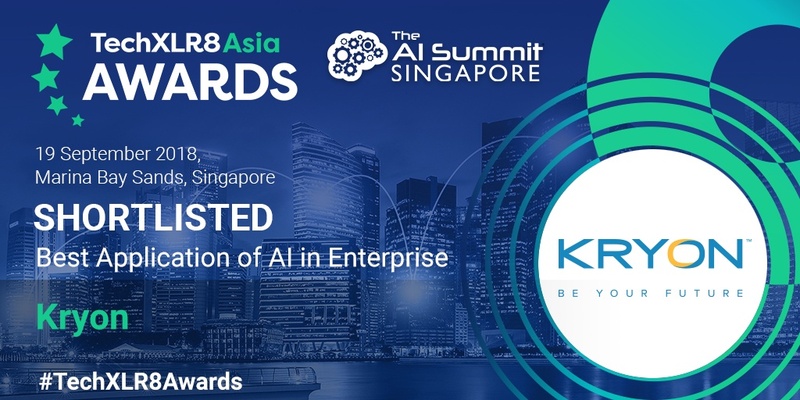 We are proud to announce that CIO Advisor has recognized Kryon as one of the top companies using artificial intelligence to offer valuable solutions to enterprises in the Asia-Pacific region (APAC). Click here to check out what they had to say about us! Join us at the Southeast Asia Digital Transformation in Banking conference in Singapore, June 20th-21st, to discuss strategy and benchmarks for creating a clear Robotic Process Automation (RPA) road map for digital transformation in banking. Come and be a part of this unique opportunity to meet and mingle with leaders in the Financial Services and Banking industry who are boldly setting the course for enterprise-wide digital transformation using RPA and AI technologies.